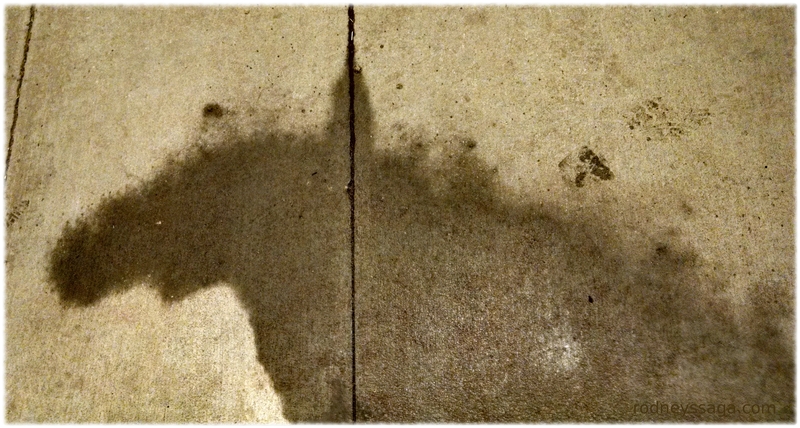 Is it me, or does this rain puddle recall the cave paintings at Lescaux? That is cool!!! Definitely pre-historic. Not you, I see it too. But then i am crazy…..